Goodbye 2018, I’m happy to see you go! My last blog post was in February of this year. 2018 has been a year that I am happy to leave behind. It has been full of changes and loss. I have returned to the classroom after 15 years as a stay-at-home mom. I am teaching Social Studies at a fantastic school. to a bunch of sixth graders. They definitely keep me on my toes! I love my team and have made great friends, but I’d be lying if I said it has been easy. My writing has been shoved into the corner and I have found it very difficult to find a healthy balance between family/school/writing. I am promising myself that 2019 will be different. I promise dear readers, I have set a goal to begin with one post a month. I don’t know what that is going to be, but there will be something. Thank you for hanging in there with me! In February my father was diagnosed with kidney cancer and had his kidney removed. The doctors believed they got it all and he began chemo as a precaution. Chemo sucked! I watched an otherwise healthy man of 81, who was exercising at his local YMCA almost daily, become a feeble man who had a hard time getting out of a chair. He swore that if the cancer didn’t kill him, the chemo would. But he pushed on and was determined to get past it and live the rest of his life as best he could. Then in May, my family lost a dear friend, who was more like family, from lung cancer. Lois was an amazing woman who had a long career with the Veteran’s Administration at a time when there very few women in her position. She had a passion for animals and our church. She became Aunt Lois to my family and she blessed us immensely. We will miss her greatly. In July, may dad got to “ring the bell” after his last chemo treatment. Still feeling weak, but thankful, his last PET scan came back clean. No more cancer. We had a great August, he was regaining his strength, he even spent time out in his workshop building things. He began having pain in his side. Doctors thought it was his appendix, a hernia, even possibly an ulcer. No one thought to look for cancer. His cancer had returned with an angry vengeance. I lost my dad on September 16. I lost the first man to ever love me. The first man I ever loved. My hero. The man I wanted to be proud of me. The man who made history interesting and fun for me. The man who would pay me a quarter a page to write reports for him. The man who would spend hours with me researching our family history. The man who could fix anything. The hardest thing I’ve ever done is to tell him that it was ok for him to stop fighting. It was time for him to rest. Thirty-five minutes after I told him I loved him, he joined my grandparents, and Lois. The second hardest thing I’ve ever done is to write his obituary. You see, my dad was a published author. He wrote technical articles for various magazines, authored papers, and was working on his memoir. I promised him that I too would be published someday. I just didn’t think it would be this way. John Cover Bergmann, 81, of Alvin, Texas, passed away on Sunday, September 16, 2018. John was born in the early morning hours of December 9, 1936 in San Diego, California to United States Navy sailor , Commander John F. Bergmann and wife, Li llian R. Cover Bergmann. His earliest memories were of his fifth birthday party when a next door neighbor ran in announcing that the Japanese had bombed Pearl Harbor. Within thirty minutes his father was on his way to the Pacific. In 1952, the Navy moved the family to Japan where he attended high school at Eta Jima High School on the naval base. While in Japan, John and his other two classmates decided to paint a target on the schoolhouse roof as a senior prank. Until a ranking officer happened to fly over the school. Upon returning stateside, John attended the Colorado School of Mines before entering the United States Navy. Sworn in by his father, Commander John Bergmann, John became a meteorologist flying in the nose of a P3V Orion. During the Cold War, he was stationed atop a secret mountain on Kodiak Island monitoring the air for radioactive fallout from Soviet nuclear tests. After an honorable discharge from the Navy, John purchased a 1961 International Harvester Scout and set out for the canyons and deserts of the Southwest where he explored and camped with his German Shepard companion, King. In 1963, answering an advertisement for overseas work, John found himself working on the development of a ballistic missile early warning system for RCA in Thule ,Greenland. Returning back to the states in 1965, John headed for Alvin, Texas where he met the girl who would become his wife of 52 years, Joyce Marie Lukens. After knowing one another for three weeks, they eloped. That year, John also began his career at NASA Johnson Space Center working for Lockheed at the Manned Space Flight Center where he worked on the space vehicle motion simulator. While at NASA, John a lso worked on the Gemini and Apollo missions, as well as the Space Shuttle. John is survived by his wife of 52 years, Joyce Marie Bergmann; his daughter, Julie Bergmann LaCombe; her husband, David; and granddaughters, Madeleine and Kaitlyn of Lubbock, Texas. He is survived by son, John S. Bergmann; Yola Lawson; granddaughters, Amarriea and Amaya; and grandson Jacob Bergmann of Friendswood, Texas. I love you and miss you daily dad! So sorry to have been absent for so long! 2018 has not gotten off to a great start. Between traveling to Houston twice for my father’s surgery, an ice storm trapping in us in the hospital and the flu/strep/pneumonia hitting everyone in my household it’s been one heck of a ride! But, I’m jumping back on the wagon and working on revisions and researching a new nonfiction topic that I think will be quite fun. I’ve got several debut authors lined up for some interviews and giveaways, so make sure you subscribe to the blog!. You can also be on the lookout for my #50PreciousWords challenge (you can se my previous entry here) entry over at author Vivian Kirkfield’s web site. If you aren’t familiar with Vivian, please go visit her blog. 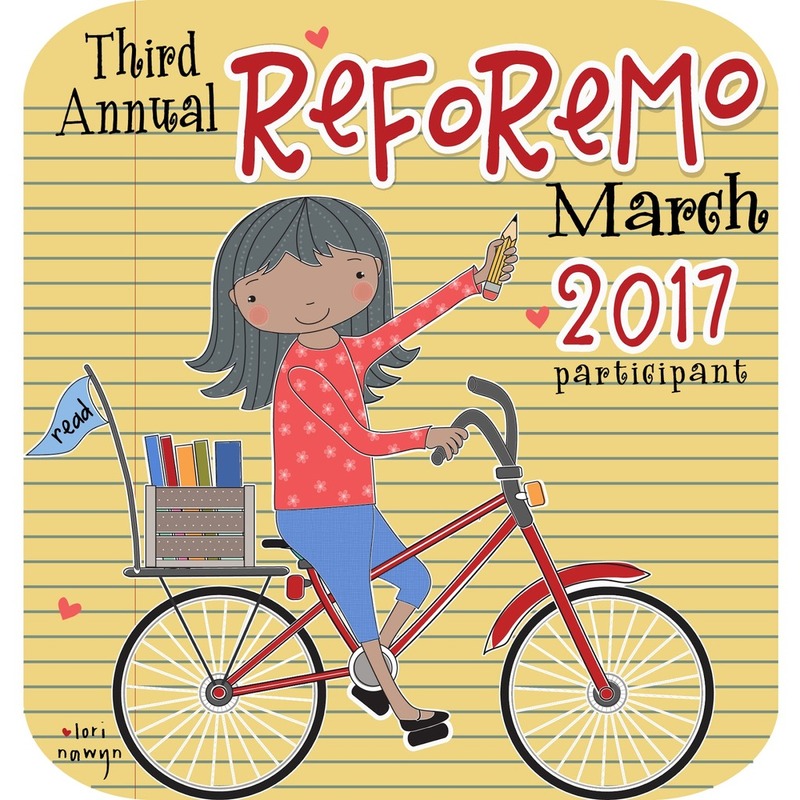 She not only writes fabulous books but has tons of activities for kids and writers alike. I’ve been trying to find more nonfiction books to evaluate since I prefer to write nonfiction, but today’s book is fiction with a twist. Wilma Rudolph was the fastest woman in the world in 1960. This lovely story of friendship revolves around two girls who think they are the quickest girls in Clarksville, Tennessee, Wilma Rudolph’s hometown. So, I present, Pat Zietlow Miller’s The Quickest Kid in Clarksville. Remember, you can find a blank copy of the Mentor Study Worksheet here. Also, do an author a favor, if you read a book, please leave a review on Amazon and Goodreads. Back on January 10, I was lucky enough to help author Jacquie Sewell celebrate the debut of her nonfiction picture book Mighty Mac the Bridge That Michigan Built. If you missed my interview with her, please hop over and learn about her process and how Mighty Mac came to be. It’s a great story! Today, I am using Might Mac for our Master Study Monday. I haven’t’ used the form on a nonfiction story before and I’m thinking I may need to create one specifically for the elements of nonfiction. More on that at a later date! At first glance, Might Mac is a traditional nonfiction story. It tells us about how the idea for the bridge grew, to bridge construction, the people involved in its construction and types of bridges. Jacquie covers it all in an interesting and well-researched manner. The photographs of the construction are interesting and show the readers what bridge construction was like during the time period. And can I just say that those guys were fearless! No safety harnesses, or any type of safety measures are visible! This is a creative way for readers to learn about an important event in Michigan history. If you read Might Mac, please help Jacquie out and leave your review on Amazon and/or Goodreads. You can learn more about Jacquie at her website jacquiesewell.com . If you have any books you would like to see mapped out for a MSM, please leave me a comment. If you or someone you know will have a debut book in 2018, please let them know about my offer to help promote their book. Welcome to another Mentor Monday! I am very excited to review and study this week’s book AFTER THE FALL:HOW HUMPTY DUMPTY GOT BACK UP AGAIN by Dan Santat. This well crafted picture book quickly became my favorite of 2017. Dan Santat took a well loved nursery rhyme, difficult subjects (depression, fear and overcoming obstacles) and made it kid friendly. His accompanying artwork not only adds to the story but TELLS part of the story. Told in first person, Humpty explains what happens to him after his great fall. What makes this story so poignant is that he wrote this in response to something he was personally going through with his wife. He tells about it in a podcast interview on All The Wonders. This book is the perfect choice as a mentor. The page turns are impeccable, the plot is perfectly crafted and the ending is a beautiful conclusion to Humpty’s tale. This book is due to become a classic! If you don’t already have a copy, I urge you to get one for your shelves! Now, here is the breakdown on Humpty Dumpty After the Fall. Remember, you can download your copy of a blank worksheet here. Mighty Mac and a Giveaway! Welcome to my inaugural debut author interview! I am excited to usher in this new blog series with debut author Jacquie Sewell. Jacquie’s book, Mighty Mac, The Bridge That Michigan Built is on shelves today..
Jacquie, thank you so much for letting me celebrate the release of Mighty Mac with you. Have you always been a writer? No, I have a background in Laboratory science but left that to be a stay at home mom. While my boys were young, I did a lot of freelance writing for a local magazine, the Lansing City Limits and healthcare publications. Then I discovered my dream job as a children’s librarian. The library is my happy place! 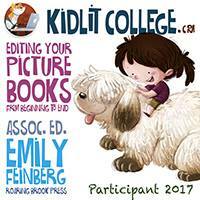 Have you been published in any KidLit publications? Yes, in 2006 I had an article in Cobblestone Magazine. It was about Anna Coleman Ladd, a Boston sculptress who spent a year in France during World War I creating life-like masks for disfigured soldiers. It was republished in 2017 as part of their World War I commemorative issue. I love Cobblestone Magazine! As a former American History teacher, I would have definitely used your article in my classroom. I had never heard of Anna Coleman Ladd so I read the article posted on your blog. She was a very interesting woman. I’m impressed with the amount of research you must have done on her. I’ve included a link to the article at the end of this post. I encourage my readers to go read about this fascinating woman. So, tell me about Mighty Mac. What was the inspiration behind the story? I was asked by a 4th grade student for a library book about the Mackinac Bridge. We didn’t have one in our library or any library I checked that was suitable for children! I decided to research it and write it myself. What a great story! Inspired by a 4th grader’s question. What kind of research did you do for your story? I read David Steinman’s book, Miracle Bridge at Mackinac. Steinman was the bridge’s architect and engineer. There was a lot of online research and I interviewed Larry Rubin, the Secretary of the Bridge Authority who was tasked with building the bridge. I also interviewed Steinman’s grandson on the phone. I also studied the historic photos online, and read books and articles about bridge building. I have a passion for research. The thrill of hunting down that elusive piece of information or finding an unknown nugget that is screaming to be told. Did you enjoy the research? I love to do research! Dig into databases, books and archives for the treasures hidden there. It’s hard to stop researching and start writing. I pray a lot for wisdom in what to include and how to say it. I’d say that’s a pretty solid writing process! I tend to get so involved in the research and then want to include every nugget that my story ends up way too wordy. How long did it take for Mighty Mac to go from a 4th graders question to publication? 17 years! The story of getting MM published is a cautionary tale of woe. I had two publishers “very” interested – but no follow through, and a third one even offered me a contract – which she reneged on. There were periods of years where MM sat in my file drawer – but I never forgot it – or lost my belief that it was a book that kids needed. The Mackinac Bridge is awesome – and at one time was the longest suspension bridge in the world. Kids (and adults!) needed to know the story of how it came to be. So two years ago I read about a regional publisher just getting started and emailed him with my idea. Russ shares my vision for the book and he agreed to publish my manuscript – and now, Mighty Mac, the book, is a reality! I wouldn’t call that a “cautionary tale of woe.” I think it is inspiring for those of us not yet published. Never give up on a manuscript you believe in, it’s time WILL come. What is your favorite line in Might Mac? The first line, “This is the bridge that Michigan built.” It’s meant to be reminiscent of “This is the house that Jack built.” MM is written in layers. The first layer is a cumulative verse that grows with each spread as we explore the Who and How of the bridge’s construction. Each spread also contains text that elaborates on the subject being explored (eg: the towers or the special equipment). And then I included some “fun facts” in a bulleted list on each spread. I love the first line! How creative and what a great hook! Do you have a special or favorite place to write? For writing, my home office supervised by my dog Minnie. Otherwise I love being in the woods or a rocky beach. I hope your four-legged supervisor isn’t too “ruff” on you! Sorry! I couldn’t resist a little dog humor. Who were some of your favorite authors/illustrators as a child? I was a voracious reader as a child. I don’t remember reading many picture books (my loss!) but at an early age fell in love with Judy Bolton, Girl Detective – a fabulous series by Margaret Sutton. I also loved Little Women and the Bobbsey Twins. What drew you to writing for children? I love sharing our amazing world with them through the magic of books – especially picture books. One last question. What do you know now that you wish you had known before you began writing? How discouraging it can be. Build community and support early! That’s sage advice. Writing is a solitary venture and the number of rejections before you finally get a yes can be numerous. Thank you Jacquie for letting us help you celebrate Mighty Mac, The Bridge That Michigan Built. How are you going to celebrate? Shout for joy! Email everyone I know. Post a celebratory post on Facebook. Jacquie has graciously offered a copy of Mighty Mac to one lucky blog reader. Use the Rafflecopter below to enter the giveaway. I will email the winner to arrange shipment by Jacquie. The Rafflecopter doesn’t look right, but I promise you that if you click the link it’ll take you there! Still a Gorilla is a charming rhyming preK-first grade story by author Kim Norman. Willy the gorilla wants to be another animal in the zoo. After each try, he’s still a gorilla. In the end, he realizes that it’s ok to be himself-a silly Willy gorilla. The rhymes are spot on and make this a fun, interactive read-aloud. Here is my Master Study worksheet for still a gorilla. Remember, you can always grab a free copy of the Master Study worksheet here. You can also find Kim Norman on her web page. Can you believe it’s already 2018? 2017 flew by like a hawk after it’s prey. Most people look at the new year as a time for resolutions and goal setting. How many of us have failed or forgotten our New Year’s resolutions by the third week of January? Come on, I know I’m not alone! 98% of New Year’s resolutions are not kept. 80% of those who make resolutions fail by January 20 according to a recent poll. Ya’ll, that means only 2% of New Year’s resolutions are kept! Why? I’m sure there are many reasons, but for me, it’s planning. Years ago, I decided that New Year’s resolutions were just a marketing scheme by gyms! I don’t make resolutions, I make PLANS! Plans have a definite and reasonable goal; steps to make it happen, and a definite resolution with a deadline. I sit down frequently to review and set new goals. I found a free printable online created by blogger Abby Lawson at Just a Girl and her Blog. She created this printable and wrote a great post on setting goals. Go check her out. Print out the worksheet, fill it out, and post it where you see it everyday. Come back next week and I will have a great list and links of writerly resources to help you attain your goals in 2018. Thank you so much for celebrating the release of Mighty Mac the Bridge that Michigan Built by Jacquie Sewell. Her story was many years in the making, and her devotion and passion about the story of the Mighty Mac has brought life to an important event in Michigan history. If you are here for the giveaway, the winner is named at the bottom of this post. I will be emailing the winner today. I hope that you share in the love for this majestic bridge. Below are some web sites that you may find useful to use alongside Mighty Mac the Bridge that Michigan Built. The winner by random Rafflecopter draw is…..
Congratulations Stephanie! I will be contacting you by email to make arrangements so that you can receive your copy of Mighty Mac the Bridge that Michigan Built. Thank you for joining Jacquie and I for her book debut and my Debut Author debut. I’ve got many more interviews scheduled throughout 2018. I hope you will subscribe to the blog so that you will be the first to know when there are more great books being born! Next week there will be a Mentor Study and review of my new favorite 2017 book, After the Fall, by Caldecott Medal Winner Dan Santat. You DON’T want to miss this one!